I’m dreaming of a white Christmas sand beach. Can you believe it!? Christmas is just around the corner!!!!! 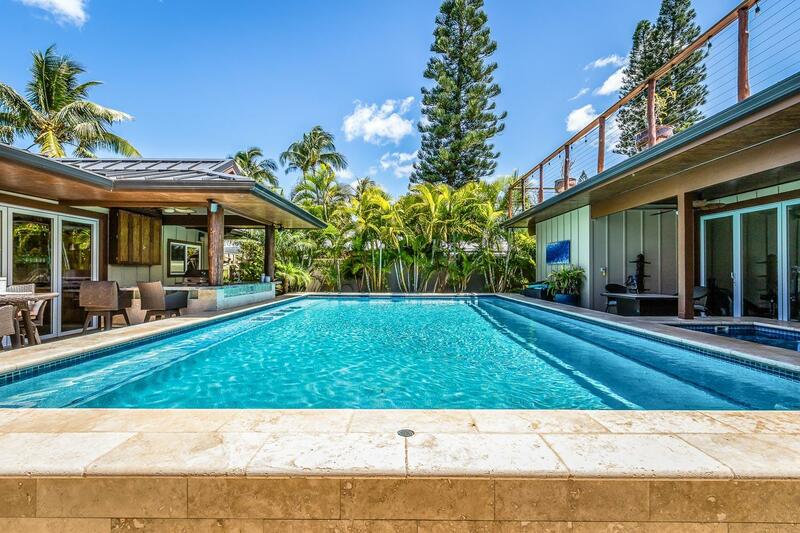 Okay, so maybe this post is a little late… But if you’re looking for a last-minute warm destination to celebrate your holidays or to escape the winter cold in the upcoming new year, Hawaii just might be the perfect choice! 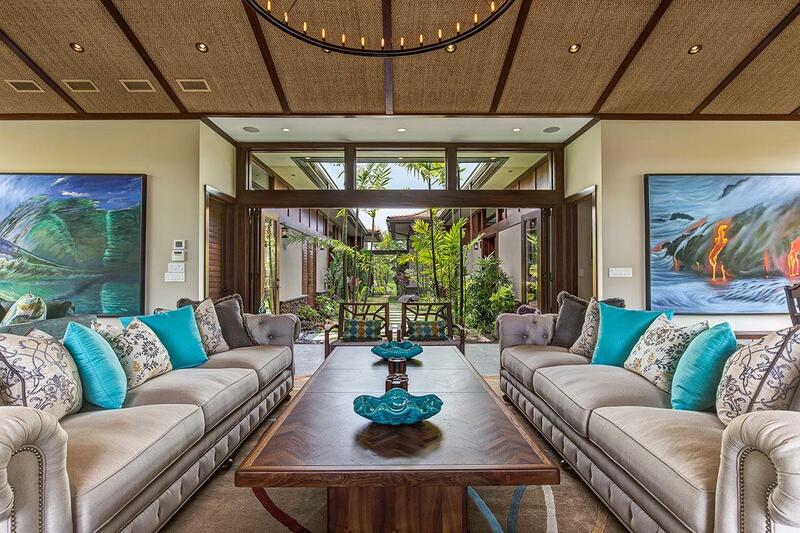 I have been dying to revisit ever since in addition to exploring the rest of the other beautiful islands, which is why I am beyond excited to have teamed up with Luxury Retreats this year to present to you some of the most exquisite and luxurious Hawaii home rentals that are perfect for your next winter getaway vacation. 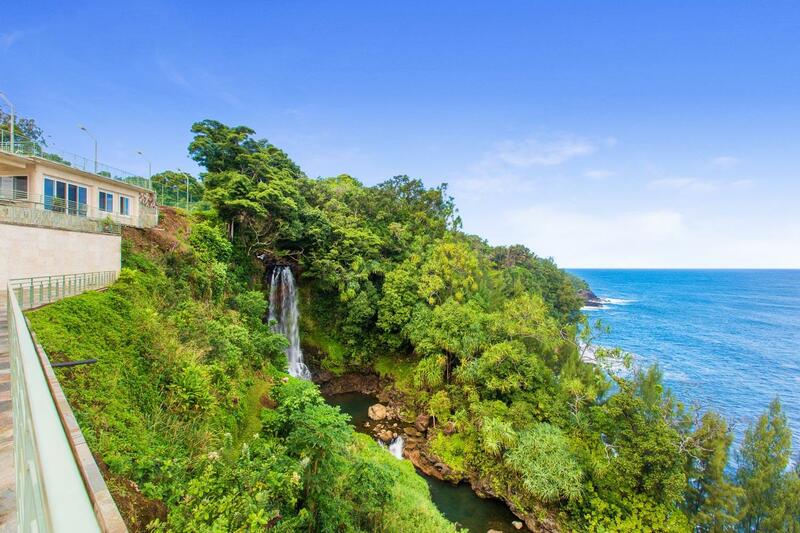 Known for its majestic waterfalls and volcanic Haleakala, Maui is no doubt next on my Hawaii bucket list. I actually just binge watched a bunch of holiday movies on my Netflix recommendation list as well – one of which was Christmas Inheritance where the main protagonist talks about spending Christmas in Maui with her fiancé. What a timely reminder for me to book my flight! Hahaa. 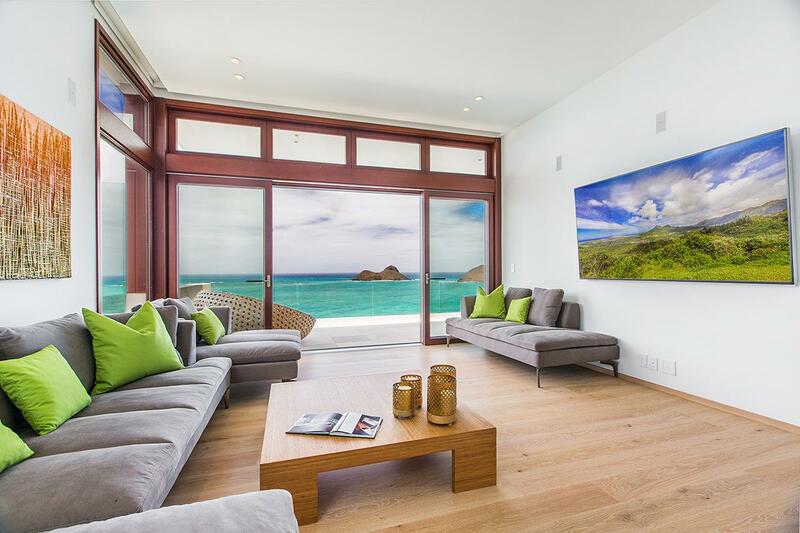 Avalon by the Sea is a mix between traditional Hawaiian home design and modern, contemporary amenities. 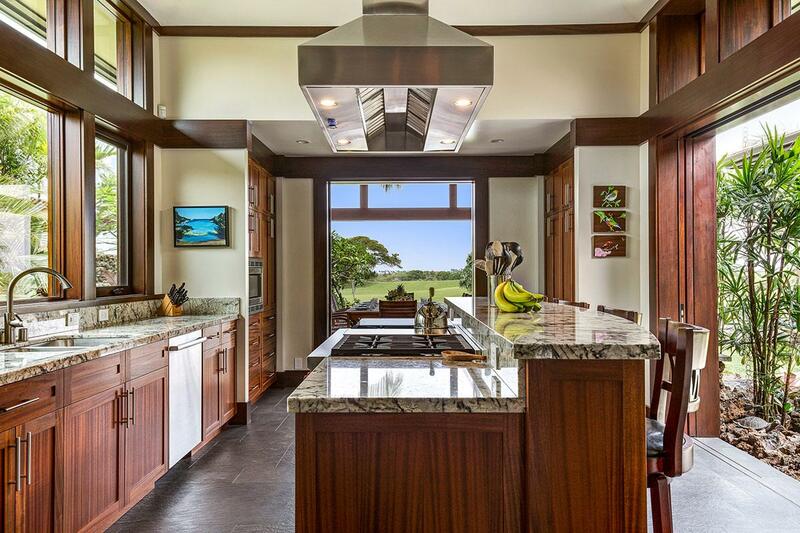 The villa overlooks the PGA Plantation Course as well as the Pacific Ocean. 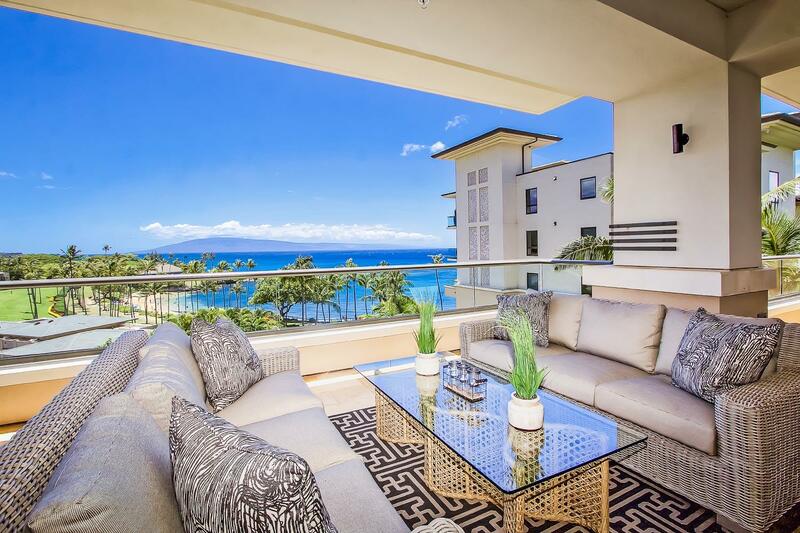 There are three separate lanai patios and almost every room has stunning panoramic views. Guests here receive 15% discount at The Bay Course and PGA Plantation Course. Definitely a great choice if there are any gentlemen in the family who enjoy golfing! A villa named after me? This must be fate! 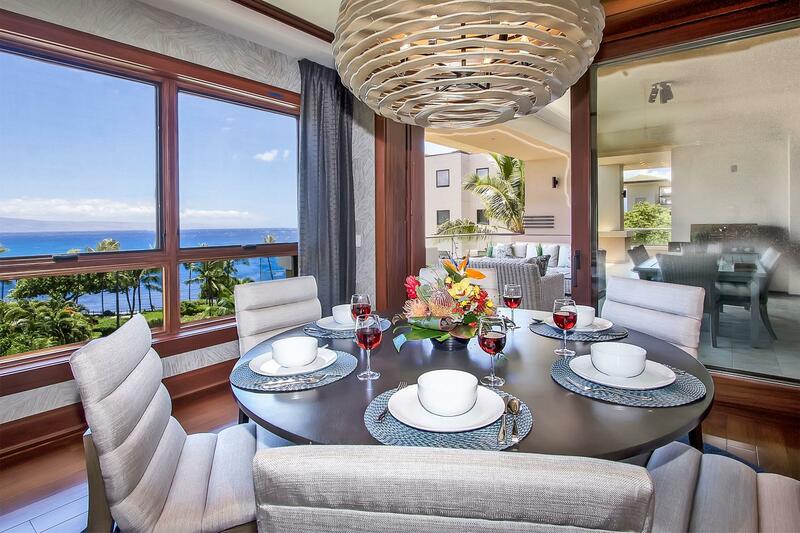 With views overlooking Kapalua Beach, this stylish 3,300+ square feet Hawaii rental home is sure to wow you. 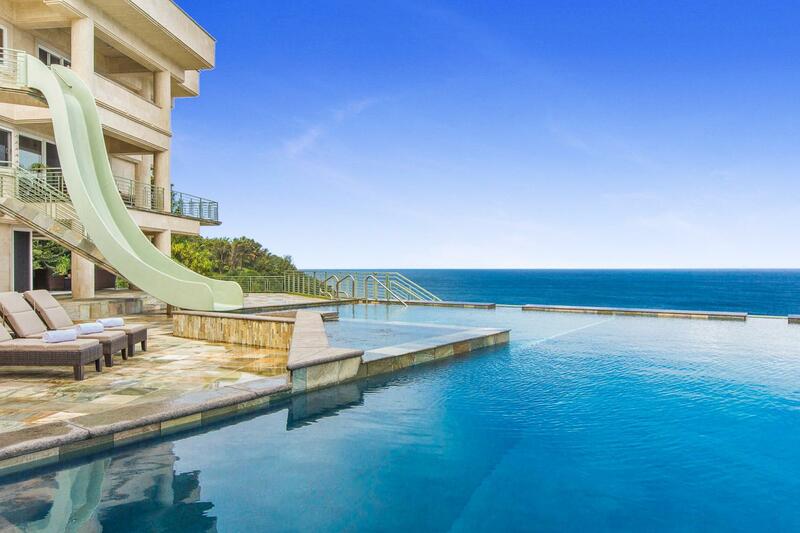 Rental includes use of resort’s shared pool, beach club, and on-call shuttle. 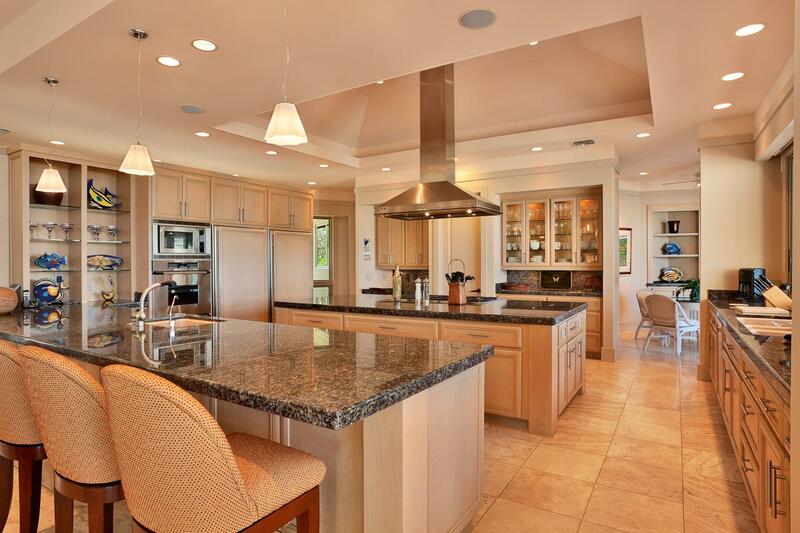 Golf course, tennis courts, and fitness center/spa are all also available to use at extra costs. More info here. 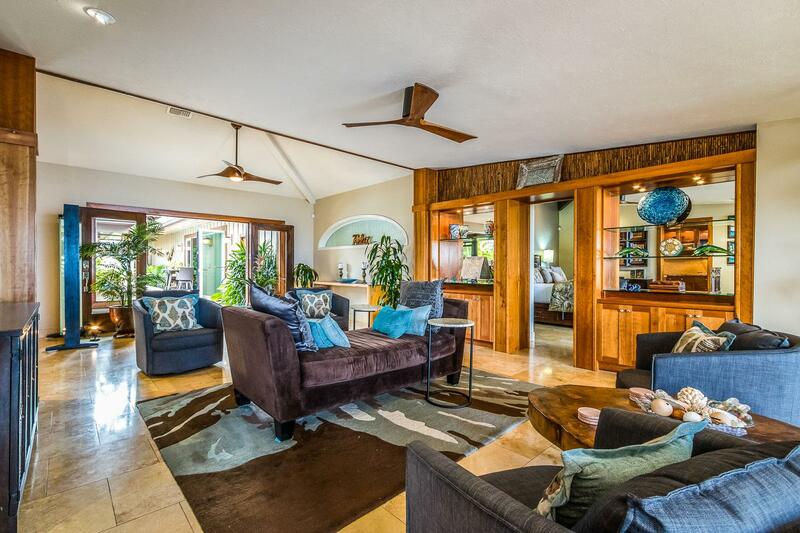 The rental is an easy 5-minute walk to Kalama Beach Park and shops at Kihei. From barbecue to spa amenities and home theater, however, I’m not sure why you’d even want to leave this waterfront property! Update: Apologies but this listing no longer seems available. Usually when we talk about Hawaii, we think of Honolulu and Waikiki and the famous Pearl Harbor we’d seen in films. 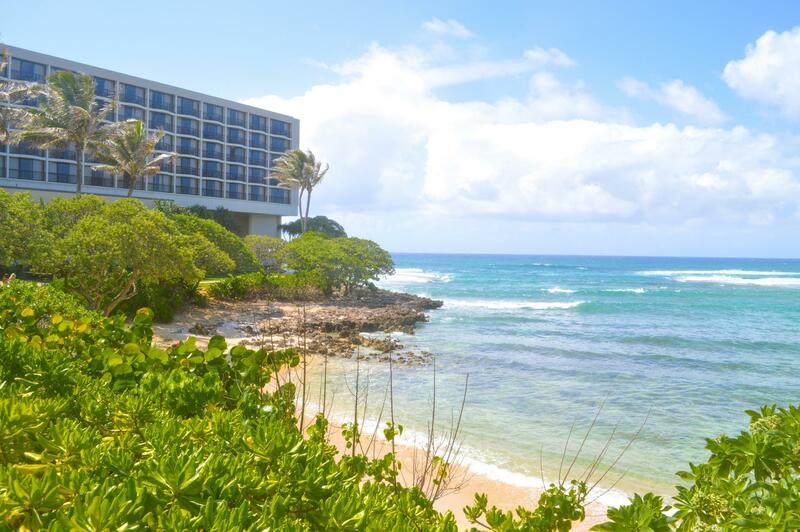 When I was planning my initial mother daughter trip, I had my eyes set on staying at the Turtle Bay Resort in North Shore. (It’s still a popular resort, especially amongst surfers since North Shore has amazing waves, but compared to Hawaii’s capital, you could almost say it’s kind of a hidden gem.) Hence it was a complete fluke of luck that we avoided crowds and ventured off into the less mainstream touristy areas. While Waikiki does have its charms, I feel like when you go on a vacation, you really need privacy and space to truly relax. Sometimes that just means staying in a more secluded area. 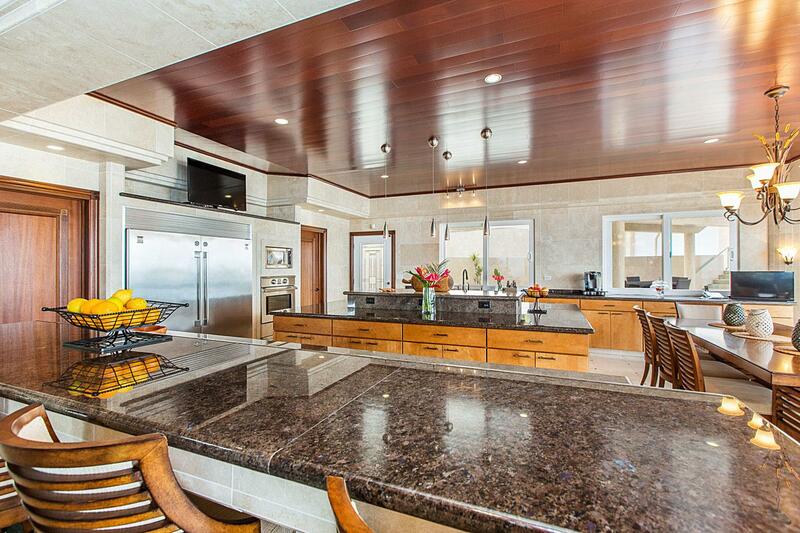 Okay I lied… Maybe this one is my favorite of all the Luxury Retreats Hawaii rental homes. 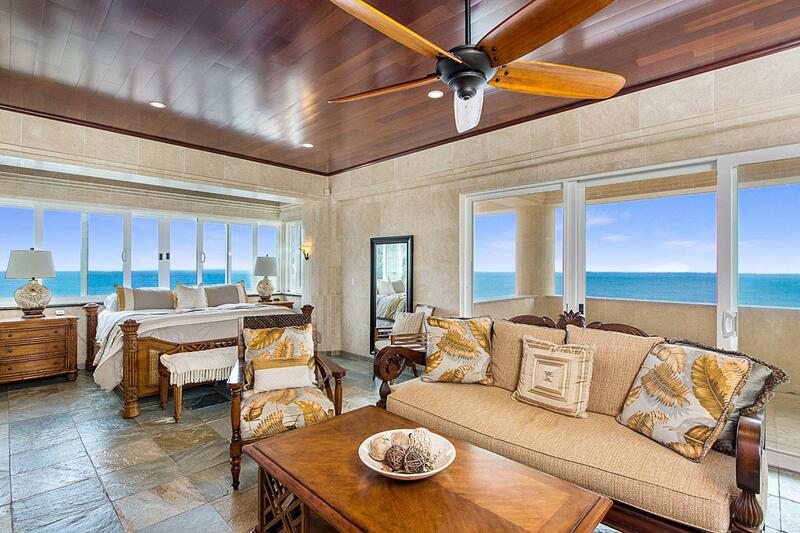 I’m a big sucker for ocean front views and not only would this be a dream rental home to stay at, it’s basically my dream house! Lanikai translated into English means “heavenly sea”. And boy are the views here heavenly indeed. But of course, apart from the drop dead gorgeous views, I absolutely adore the clean, minimalist vibes. Airport transfer is available too at additional costs. Am I the only one who finds Hawaiian islands confusing? I remember when I was first looking up places to go in Hawaii, I didn’t even know the names of all the different islands. Mind you, I didn’t exactly take geography in high school nor am I American so apologies for my oblivion and lack of knowledge. For those like me, in a nutshell, Hawaii is the 50th state to join U.S. and comprises of eight main islands: Hawaiʻi, Maui, Kahoʻolawe, Lānaʻi, Molokaʻi, Oʻahu, Kauaʻi, and Niʻihau. So yes, Hawaii is the name of a state and also the name of the biggest island (Hawaiʻi with the apostrophe/ʻokina), hence its nickname “Big Island”. While most people tend to gravitate towards Maui or Oahu, Hawaiʻi actually has diverse terrains and volcanoes. 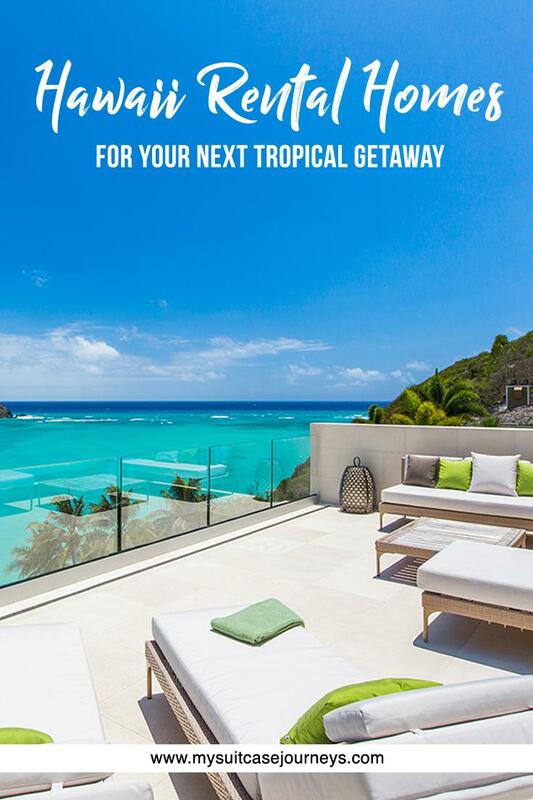 It’s a hidden paradise that’s most certainly guaranteed to sweep you off your feet. 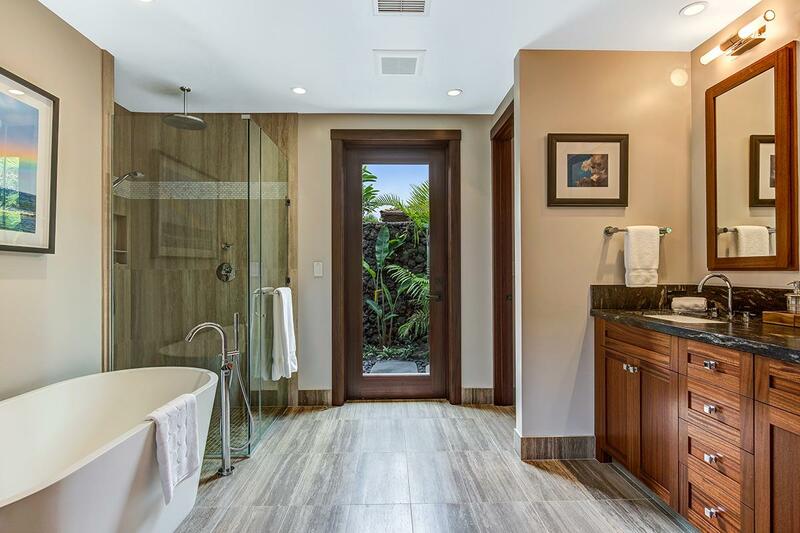 On top of vacation rental homes, Luxury Retreats also works with resorts and brand name hotel chains in offering villas for rent. 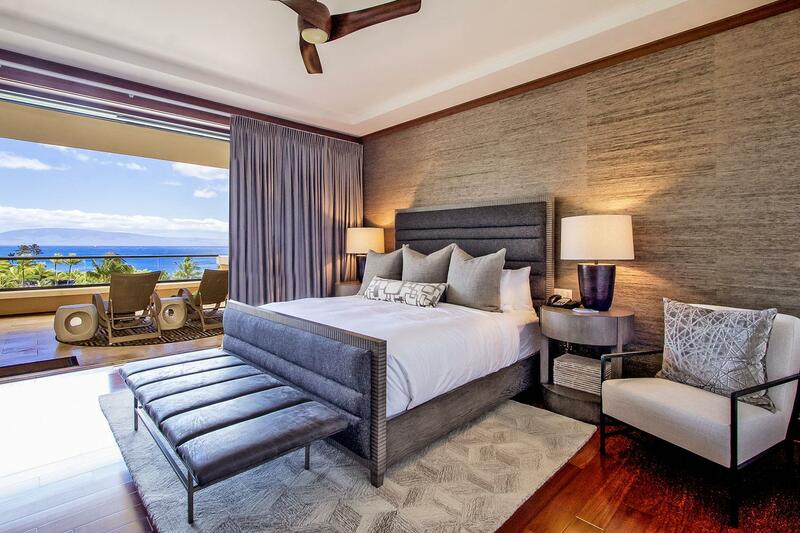 This unit here is located at the Hualalai Resort and nothing screams luxury than its rooms that were designed to reflect the traditional grandeur of Polynesian palaces. More info here. 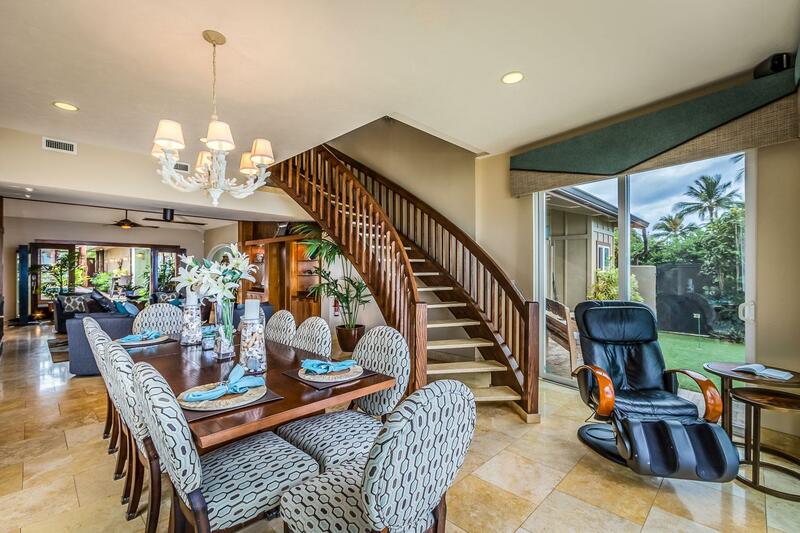 If you have kids, this would be the ideal Hawaii vacation rental for you. I personally am not a fan of the exterior just because the color of the marble does make the estate look somewhat older. You know what they say though. Don’t judge a book by its cover! And pstt! There’s a wine fridge!!!!! You got the kids busy with their pools and slides. Time for you to indulge in a nice glass or two of your favorite reds and whites. More info here. I was in LA last weekend so that threw me off my weekly blogging schedule a bit, which explains the two blog posts in two consecutive days. 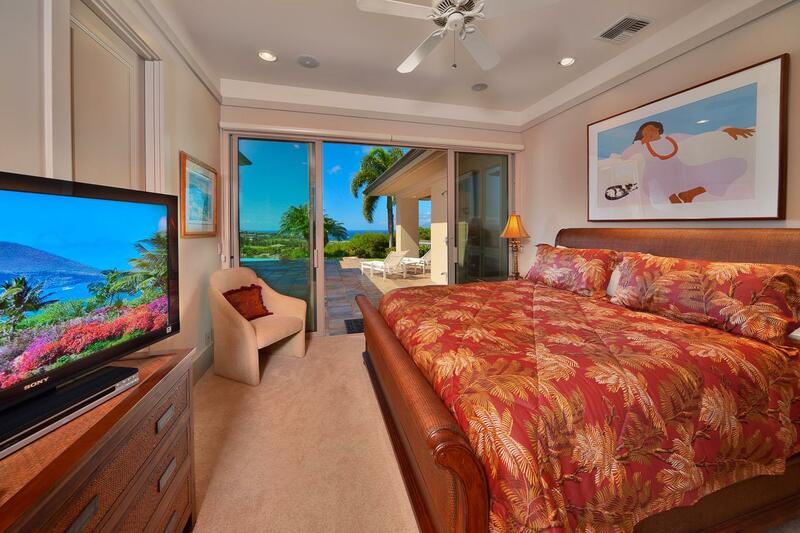 Please note that all of the above Hawaii rental homes photos are provided by Luxury Retreats. I do not own the rights to any of those images. I know this isn’t my usual hotel/resort review, but I am super thankful for this collab opportunity and I had such a blast drafting this post. 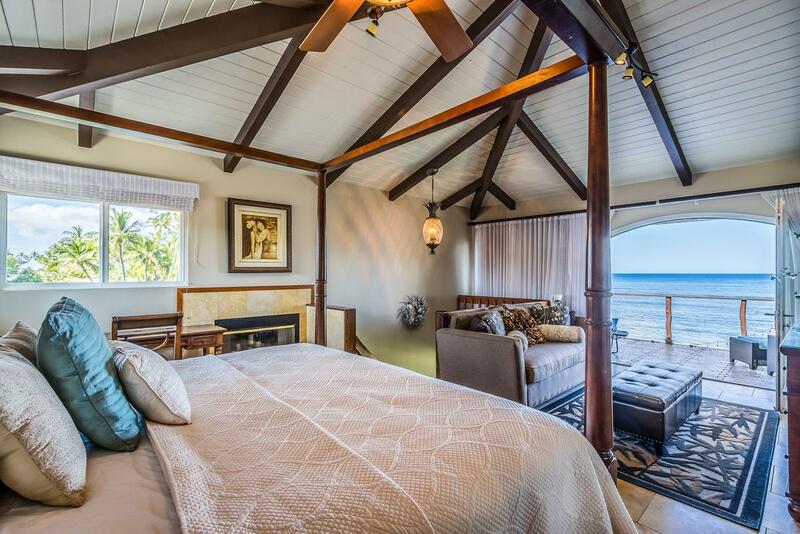 In all honesty, I myself am for sure tempted to just hit the “Book” button on pretty much all of these vacation rentals. Plus, like I said, I was already looking into revisiting Hawaii so this saved me the time of doing homework on where to stay. Will for sure keep you guy posted if I do end up staying at one of these dream locations. 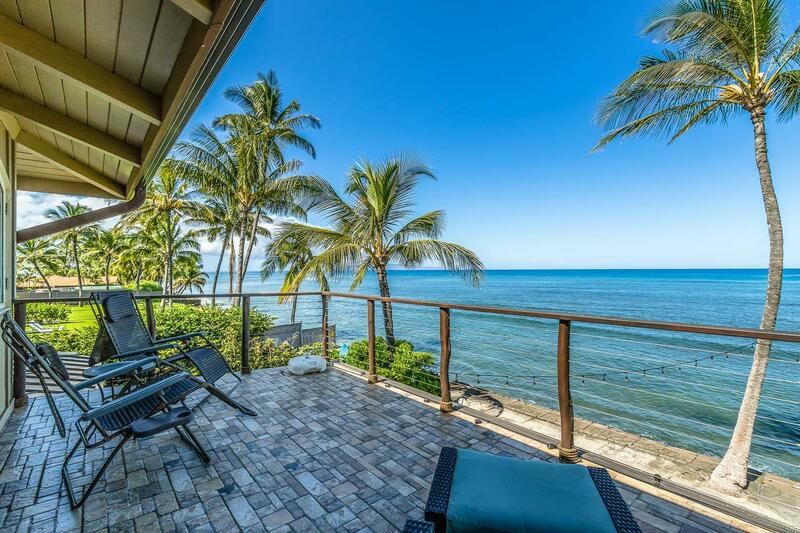 Even though I only listed 6 rentals, Luxury Retreats has a way bigger collection – click to view the entire Hawaii home rentals list. 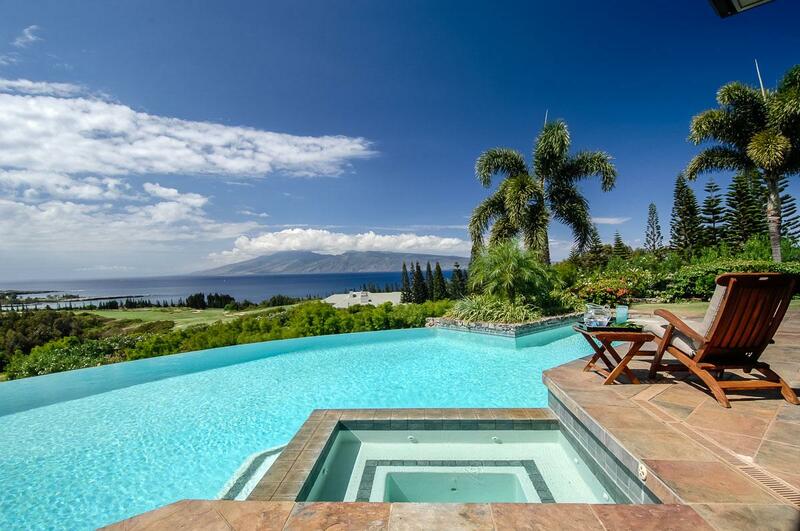 In fact, they have over 4,000 villa listings all over the world, not just in Hawaii. 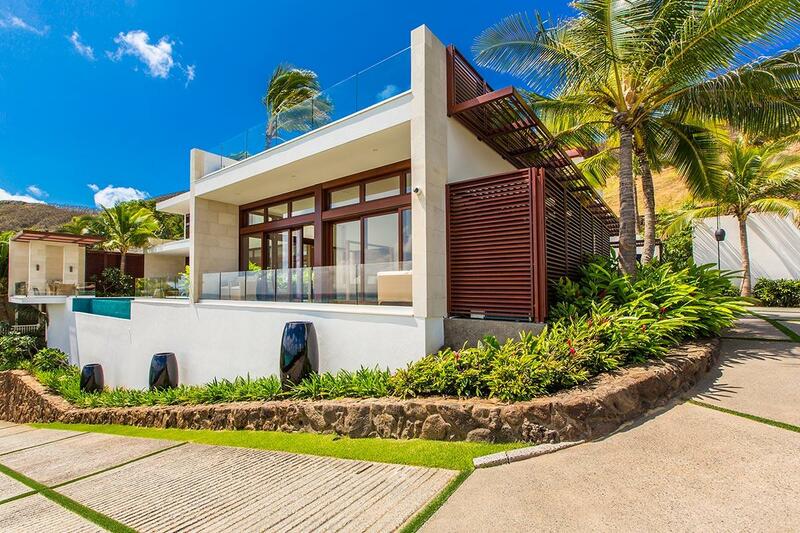 There is definitely something for everyone so be sure to check them out if you’re ever in the market for renting a luxurious vacation home! Pack me in your suitcase please! 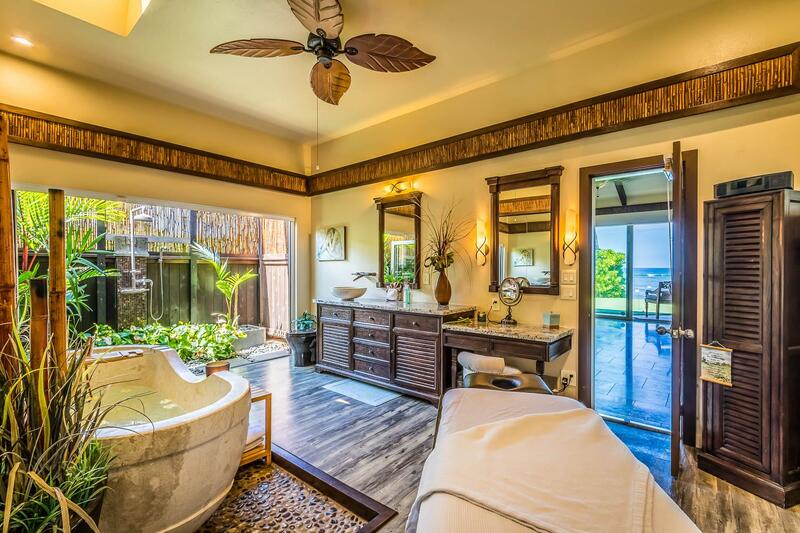 Halama Dolphin Villa looks so Grand!! I almost want to go there right away. I love your pictures a lot. Saving this for when I plan my trip Hawaii. Looks so beautiful, lush, & heavenly!! My family stayed in Hawaii over Christmas one year, and we loved it! luckily we had family that lived there, though, so we stayed with them. I knew getting hotels/accommodations there was expensive, but I didn’t know it was THIS expensive! These places are unbelievably beautiful!! They all look perfect for a big family reunion or multiple family getaway with friends. 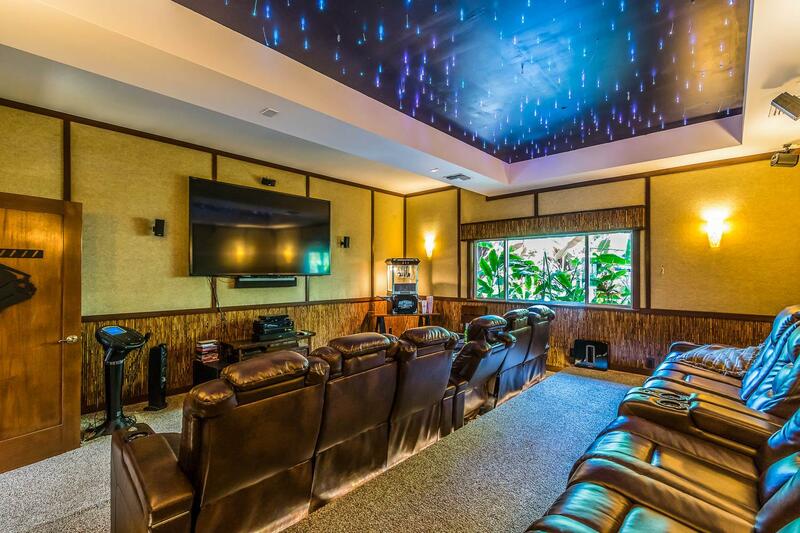 I think I agree with you that Halama Dolphin Villa is my favorite 🙂 That movie theater is cool! 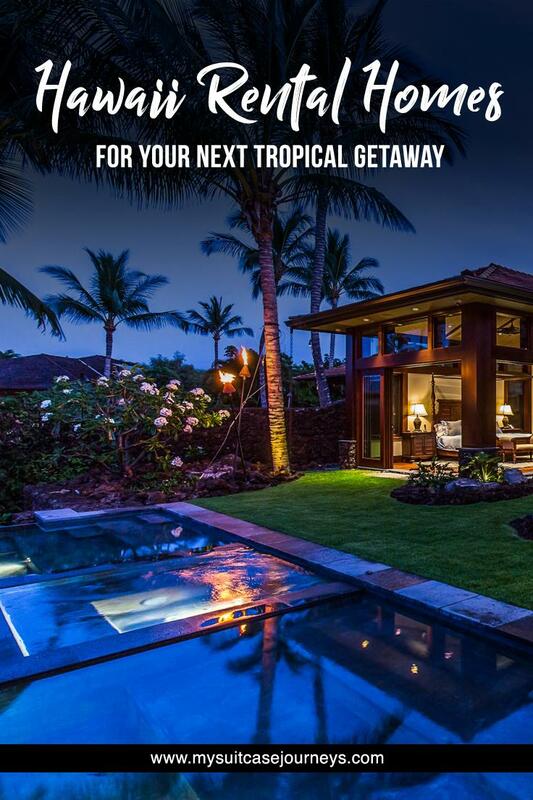 We aren’t planning to go to Hawaii anytime soon, but I will definitely check out the Luxury Retreats website to see what other properties they have around the world! Please do, Jen! 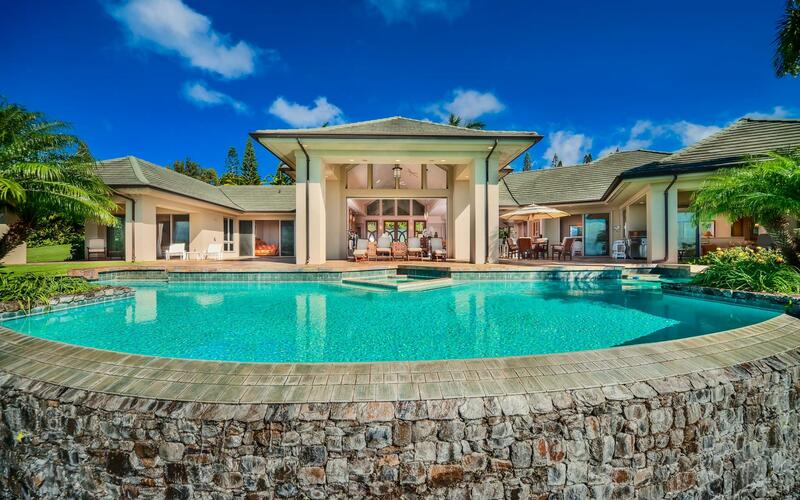 They have such an expansive list of vacation rentals all over the world. And you’re totally right. These would be perfect for family reunions and a trip with a big group of friends! I’m sure you could justify splurging and treating yourself for the holidays hahaa. 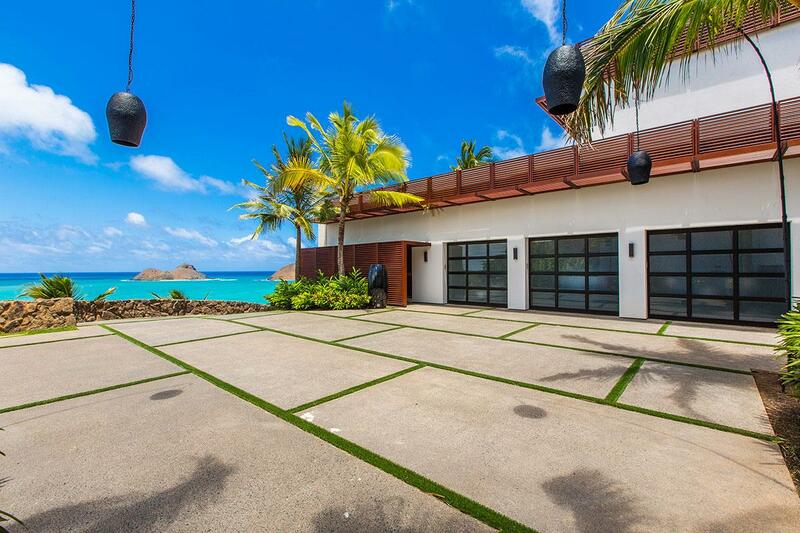 Oh wow, these are all really luxury pads in Hawaii! I would love to stay at the Oahu one, just because I’ve always wanted to go. Guess I need to start saving now! That Oahu one really spoke to me too. I need to start saving as well! Yes! Totally perfect for sharing with friends. I don’t think I could splurge that much just for myself hahaa. And Hawaii is beautiful, you would absolutely love the scenery there!!! Interesting observation you have of Waterfalling Estate. You’re right about the color of the marble actually ‘dating’ it a bit. But that sliding board makes up for it. I would love to stay (and play) at Waterfalling Estate. 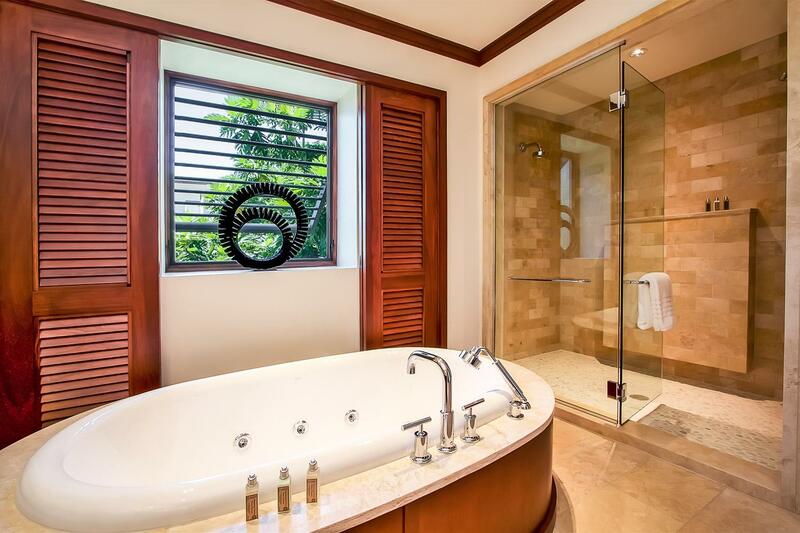 And the jacuzzi tub? Heaven! Ahh honeymoon here would be amazing I bet! Imagine having one of these homes to yourselves. 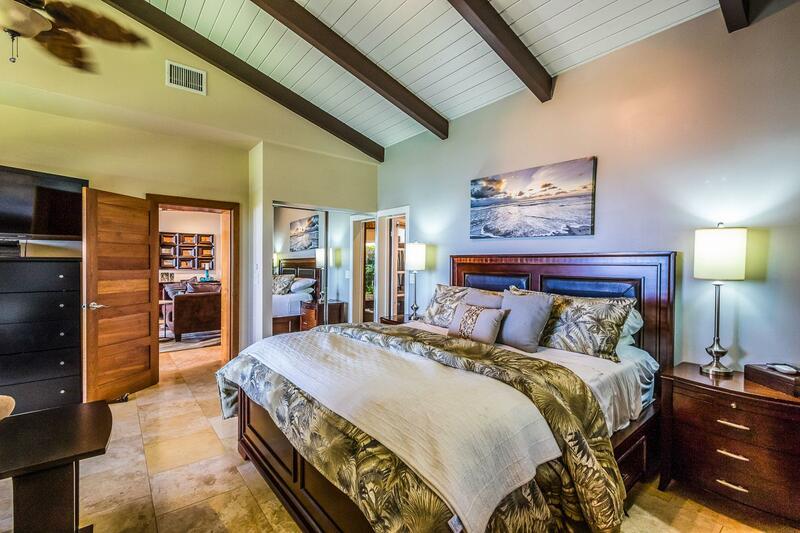 You get to sleep in a different bedroom every night hahaa. Thanks for sharing all these amazing rental homes!! I’ll surely check them on again when I visit Hawaii…I hope soon!! 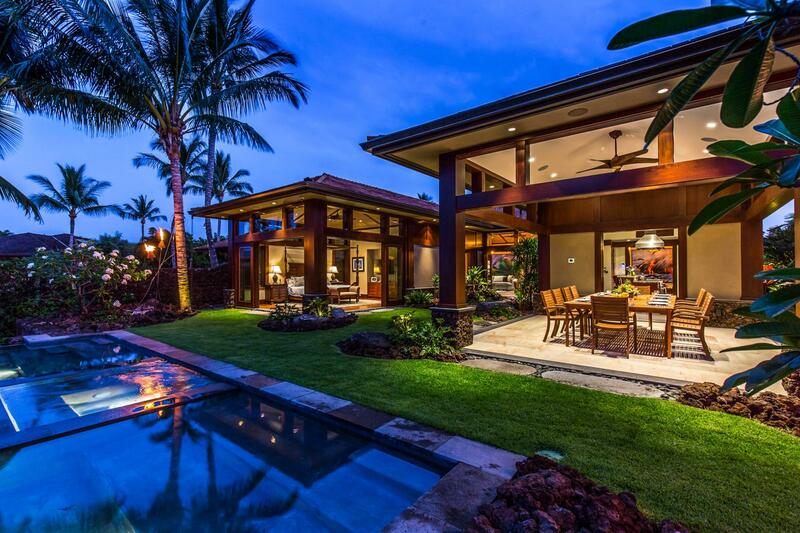 I’d love to visit Hawaii in one of these unbelievably beautiful rentals. Leaving would be a tear jerker, though. Thanks Stephen! Most of the photos are provided by Luxury Retreats actually. And the resorts really aren’t all that expensive if you can find a group of friends and have everyone chip in to share the costs!! Wow……! This is indeed luxury – you’re making me drool on my computer! 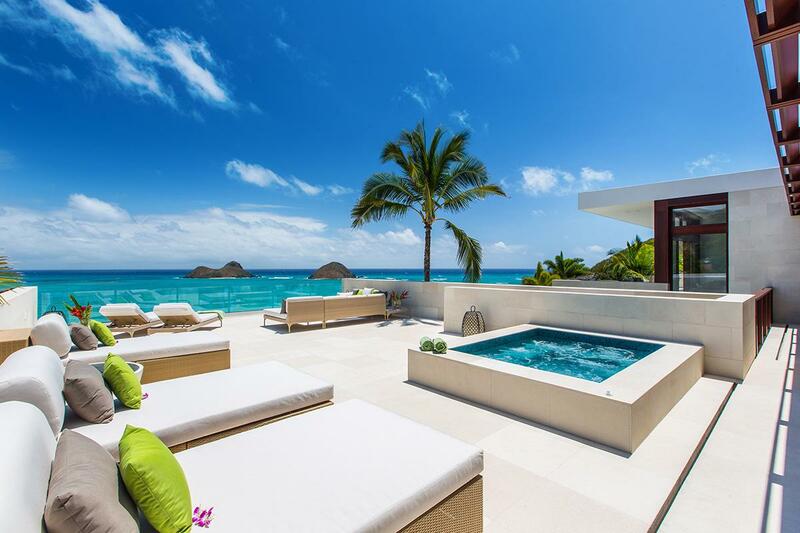 I wish I could book some of these villas too! Can you imagine the dream? I can!! All of these accommodations are very inviting! It may break the bank but I guess it’s worth the price. Which of them do you like best? Hi Karla, I unfortunately didn’t get to stay at these – although this was written in collaboration with Luxury Retreats. I think they all have their own charms and serve different purposes depending on what you and your family/friends like to do. They are on the expensive side of the spectrum for sure. But you’re right, it’s well worth the price! Wow these look so luxurious!! I lived in Hawaii for 3 years. Turtle bay resort is absolutely beautiful!! Lucky you! 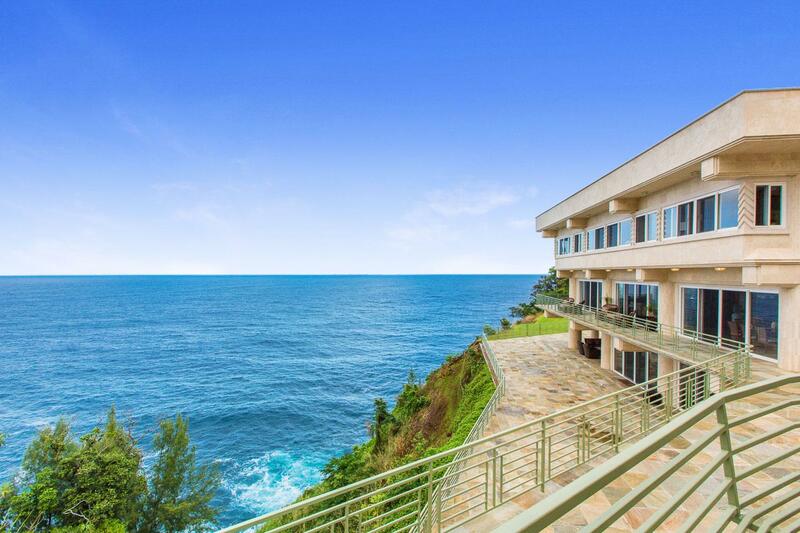 Did you ever get the chance to stay at Turtle Bay? 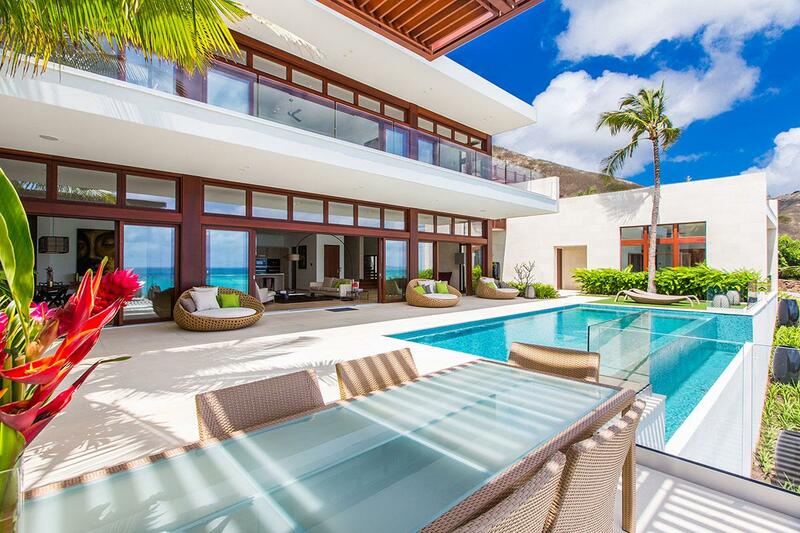 All these villas and pictures are just jaw dropping!! 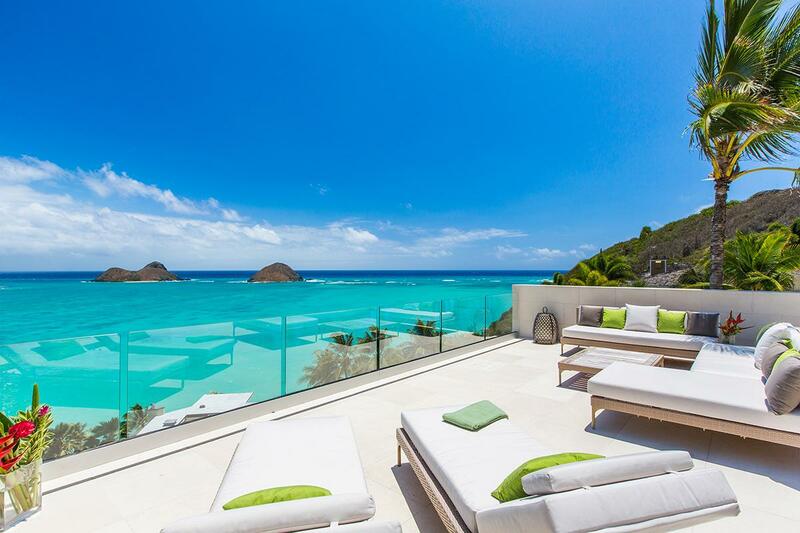 My favorite one is Lanikai Hillside Estate, this terrace is just incredible. I doubt I will be able to afford to rent any of these one day! All of these homes look SO amazing. 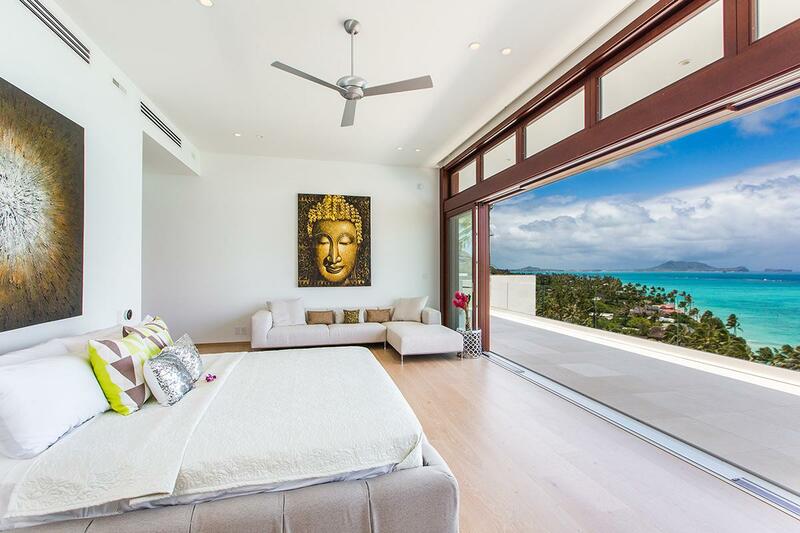 The windows make the rooms look so open. I want to go to any of them!!!!!! Right!???!! Tell me about it! 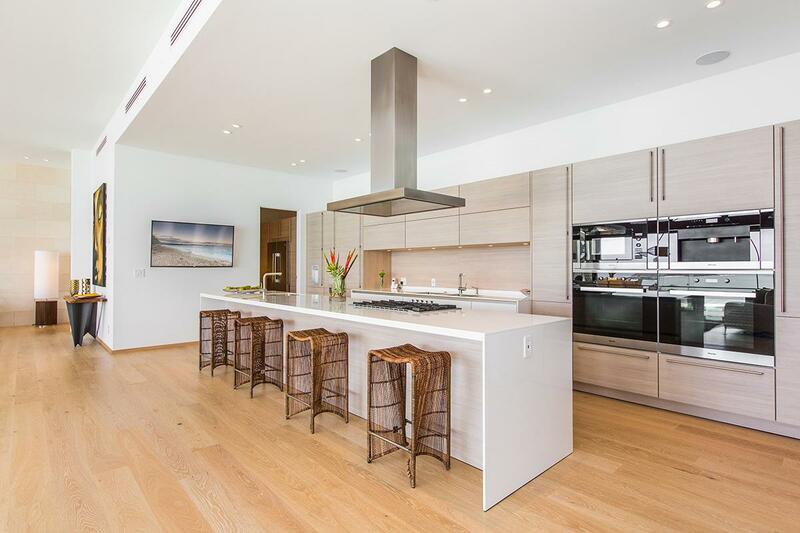 Really loving the brightness with the floor to ceiling windows! 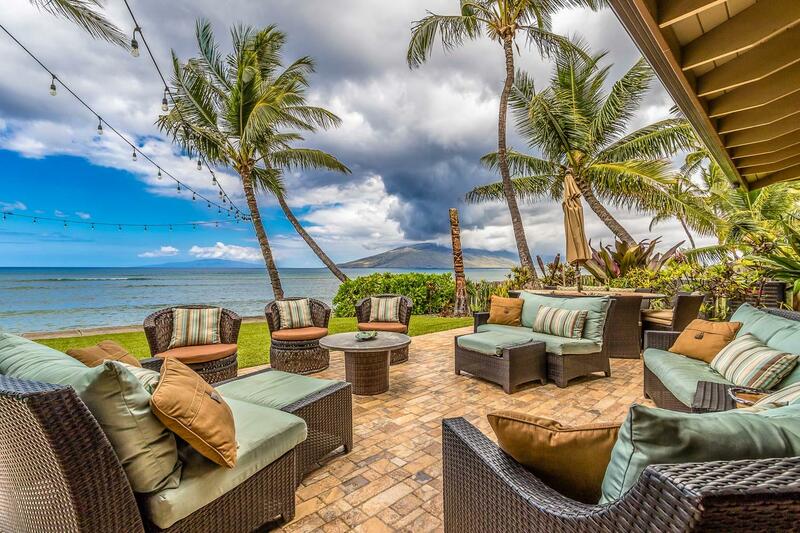 i particularly want to stay a month at halama dolphin villa. the view is amazing!!! Oh wow! 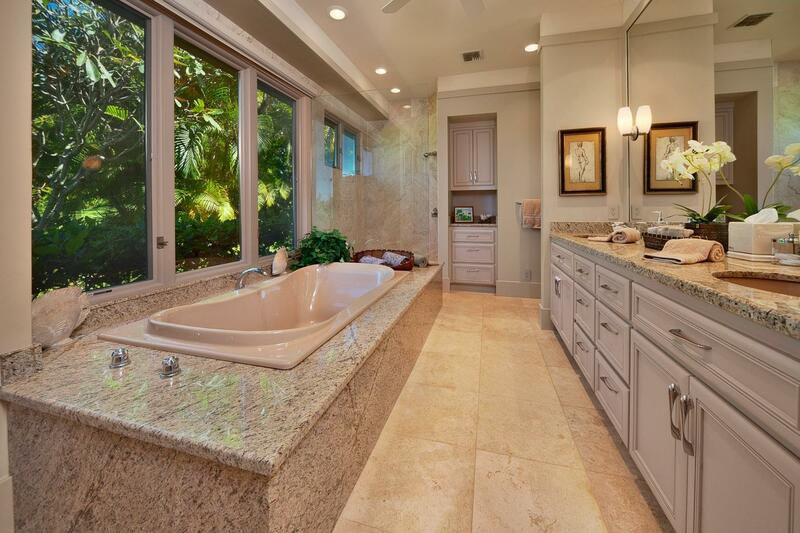 Such amazing homes, I can only imagine staying on such luxury! Hawaii has always been a dream of mine and I was due to go there 18 months ago and sadly had to cancel 10 days before out flight due to medical issues. I really hope to reschedule one day soon, but I may need to win the lottery before I can consider any one of these rentals… until then I’ll keep dreaming! Oh no! So sorry to hear that, Charlotte. Hope everything is okay now and I’m sure you’ll get to cross off this dream vacation someday. Hahaa I bet if you round up some friends and have everyone chip in, you can enjoy these luxurious without winning the lottery! They’re all so gorgeous! And I guess it’s a bit of a glimpse into “how the other half live”. I wish I could afford any of these!! I love Hawaii, we were there for three weeks in May! These homes looks beautiful to rent- will have to check them out! Three weeks!??!?! Wow!! I’m super jealous! And yes, please do check them out!! We are in Cozumel for the holidays this year and, yes, I prefer a White (sand) Christmas. Next year we will be in Hawaii. Since I have been to all the other islands, it will be the Big Island this time. But your lodging places are to die for…and the prices too high for me! Visiting Big Island would be the dream! These are definitely more on the luxury end but it’s always nice to treat yourself every once in awhile. You deserve it! My god your pictures look like paradise. OMG !! This place looks so amazing and beautiful… Time to pack my bags and head straight to this beauty.. Loved all the pics in this post. 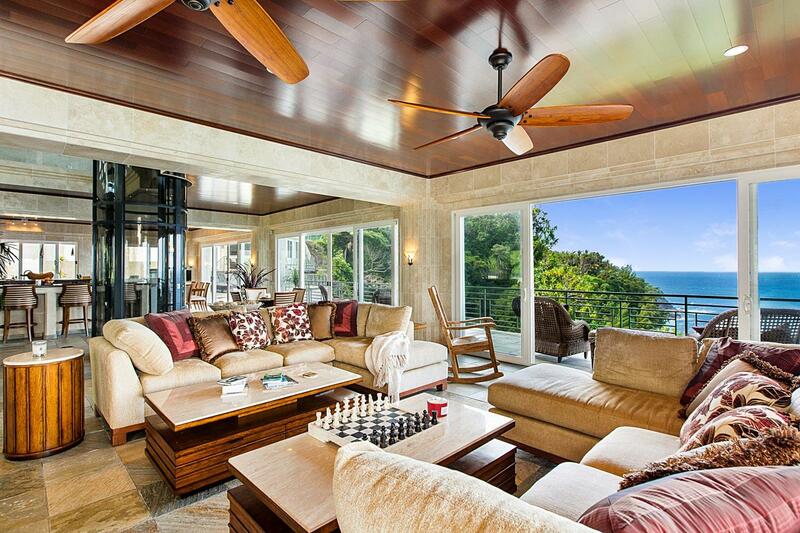 I can only dream of affording a place like this, but I have to admit it’s amazing. Bloody hell those places look swanky! I think slightly out of my price range though. Really nice too, did you take them? Hey Josh, all the resort photos were provided by Luxury Retreats. These are definitely a little pricey but heck round up a group of pals and you got yourself an affordable luxury retreat! 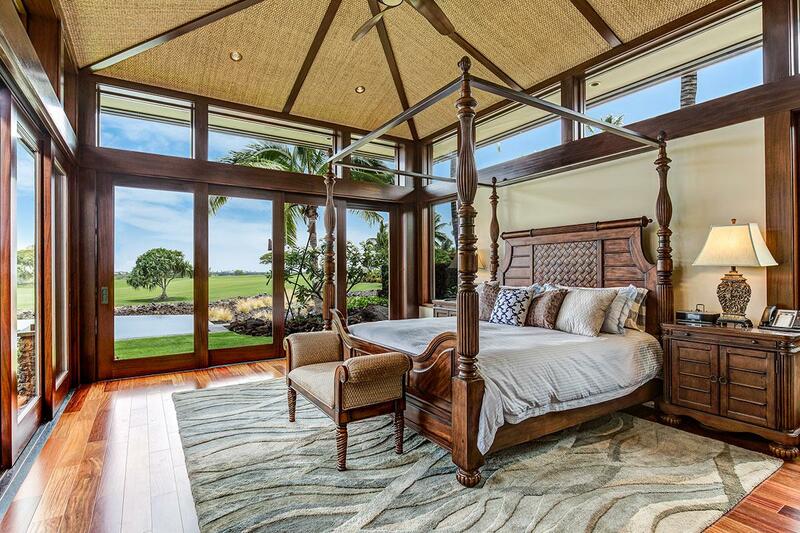 These Hawaii rental homes are indeed the ultimate in luxury and indulgence. 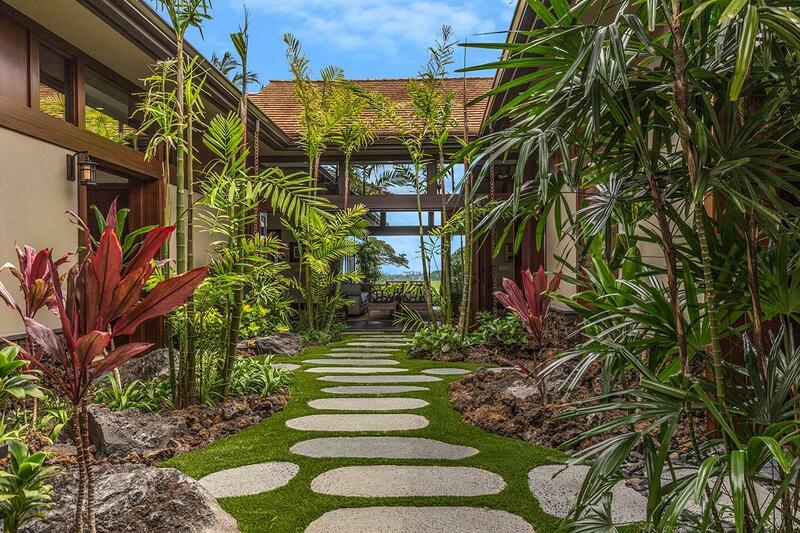 The fact that they are located in Hawaii, a place that must figure in the dreams of millions add on to their allure. Definitely the stuff that dreams are made of and an indulgence to the senses. 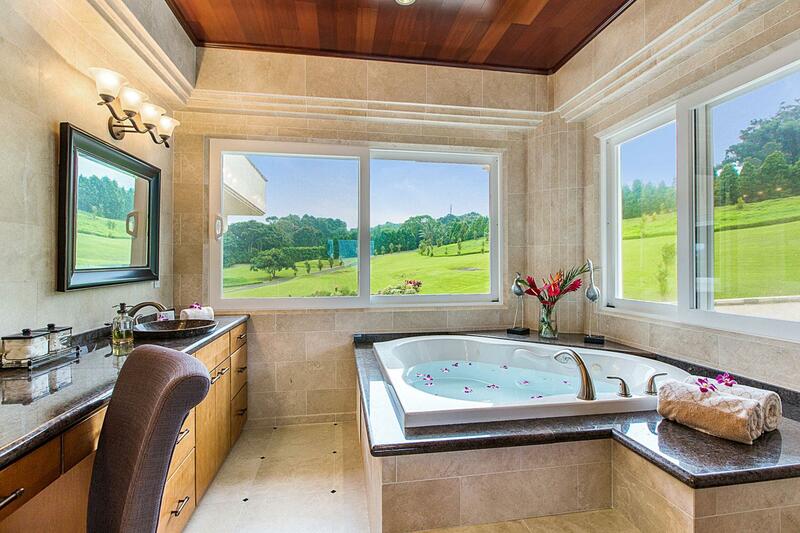 Wow, that spacious bathtub by the window looks enticing! I’d love to bring my family to Hawaii once I save up more money. That’d be a fantastic goal to work towards! Ah I could definitely do with some sun right now especially with this horrible weather in London. I miss having Christmas on the beach in Australia. 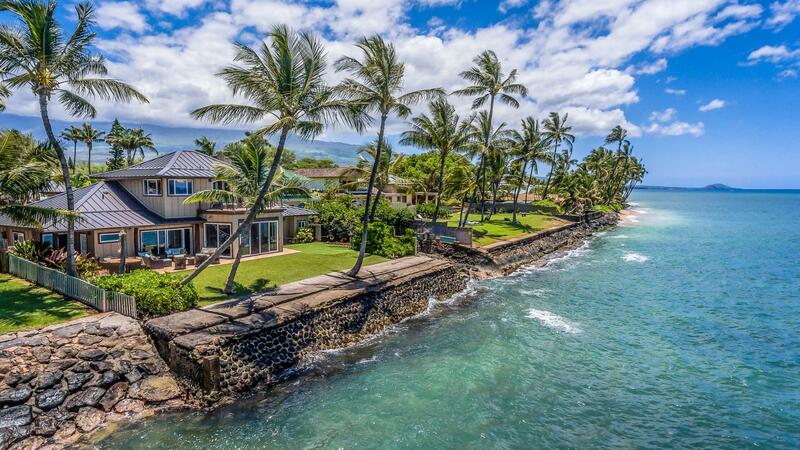 I have never been to Hawaii but wow this place looks amazing. 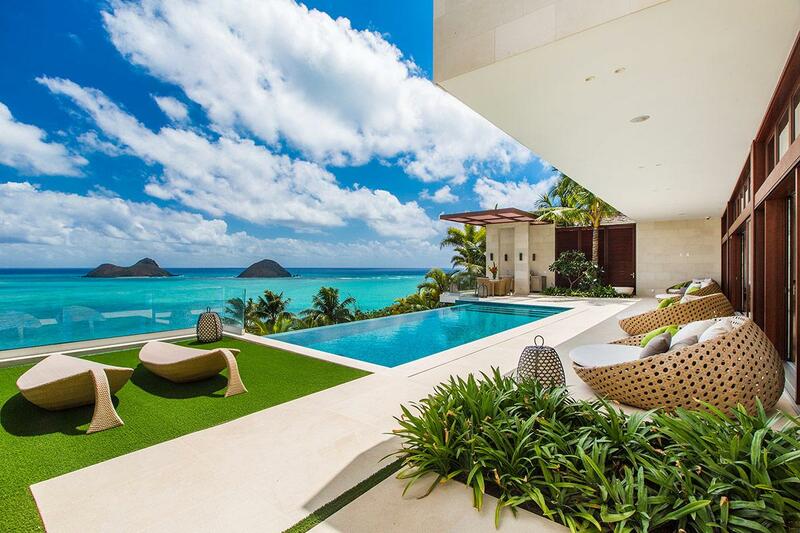 I could easily in that pool for days getting inspiration and watching the world just go by. You will have to take me with you next time. You definitely need to check out Hawaii, Mel! 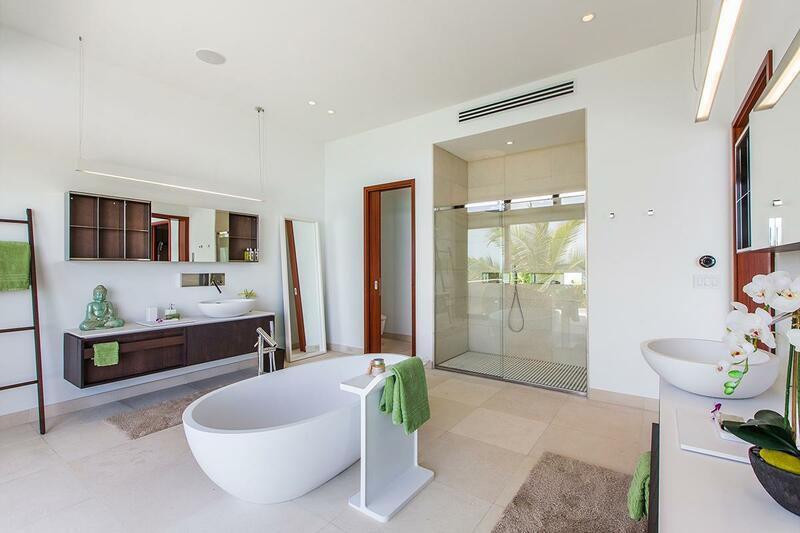 I think you’d love it and I hope this will inspire you to book a stay in one of these paradise suites!